Alexandre Farto, aka Vhils, recently finished another successful collaboration with Portuguese kuduro band Buraka Som Sistema. After working with them in the past on different projects, he took a role of a director (with the help of João Pedro Moreira) this time on their newest video, “Stoopid”. 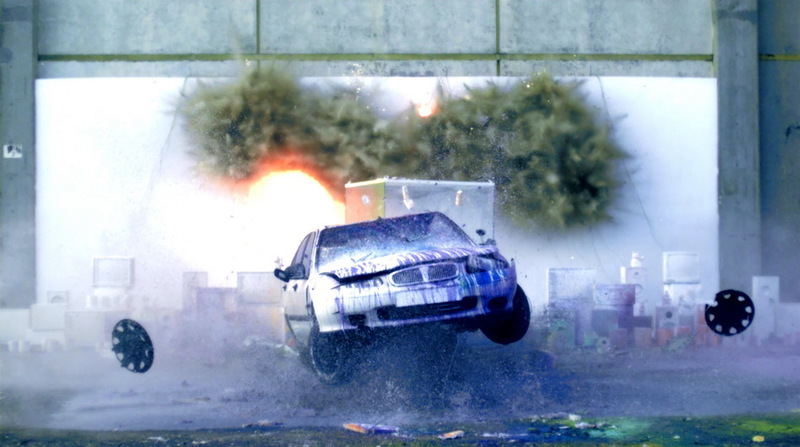 With his rich experience in destruction, controlled chaos and organized madness, and the help of high speed cameras, the result is this fierce video packed with splashing paint, explosion, smashing things, burning objects, and other elements of complete havoc. 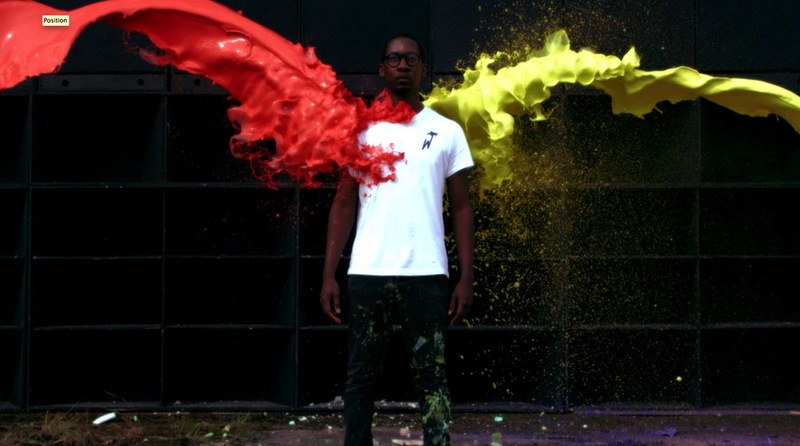 Streets / Video: Vhils x Orelha Negra – M.I.R.I.A.M. 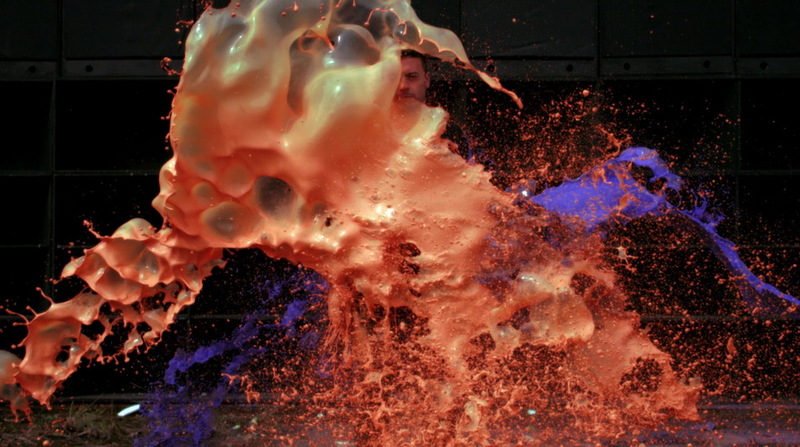 Categories: Art, Contemporary Art, Street & Urban Art, Videos. 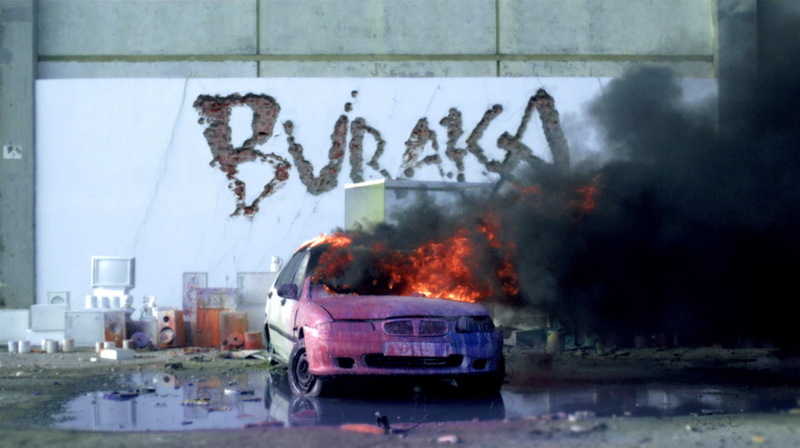 Tags: Buraka Som Sistema, Music Videos, Vhils, Videos.